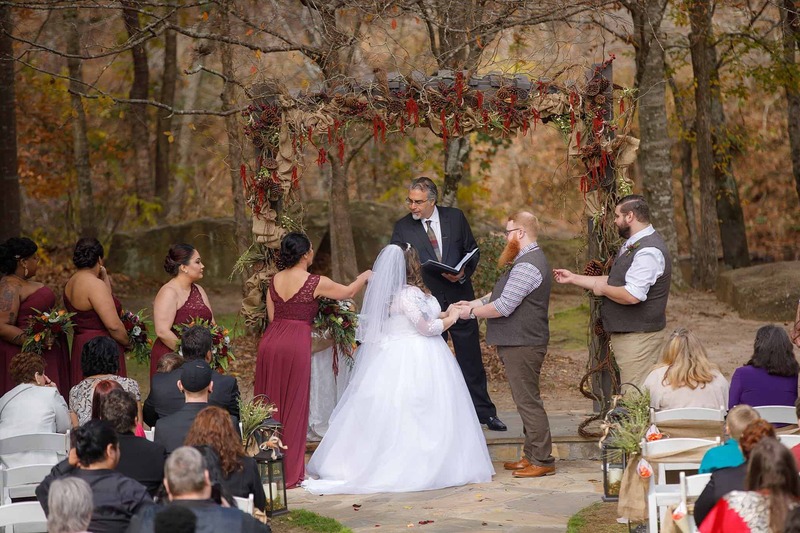 We are SO excited to share this wedding with you! 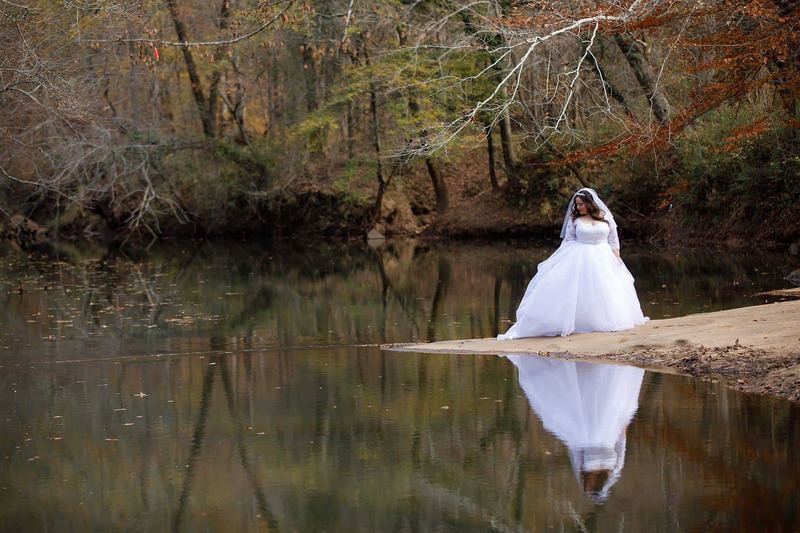 Vanessa and Jacob were wed on a GORGEOUS November afternoon down by the Yellow River. 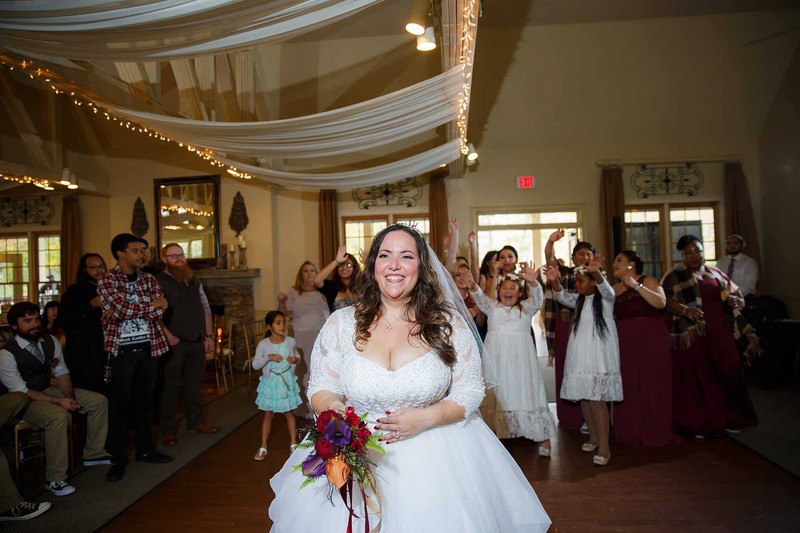 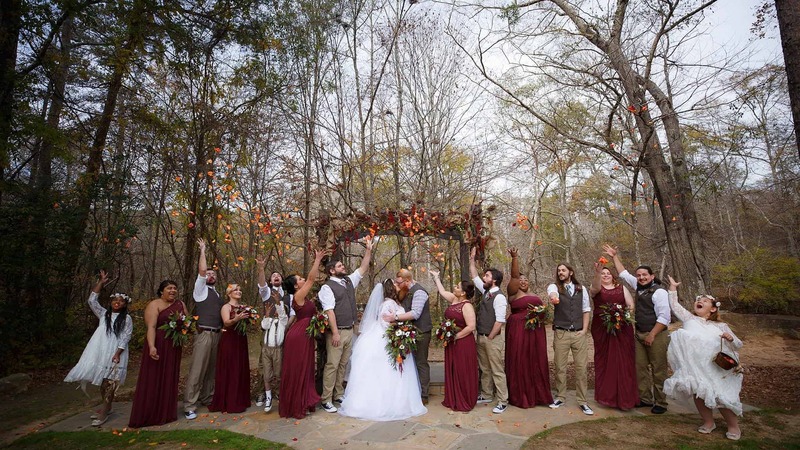 We can’t get enough of this absolutely breathtaking Fall foliage that they had for the big day. 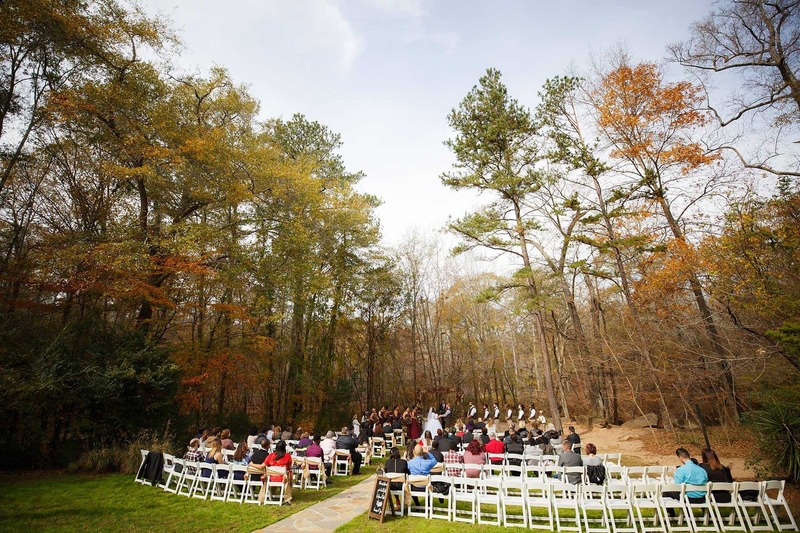 This was definitely the perfect backdrop for their……wait for it…………. 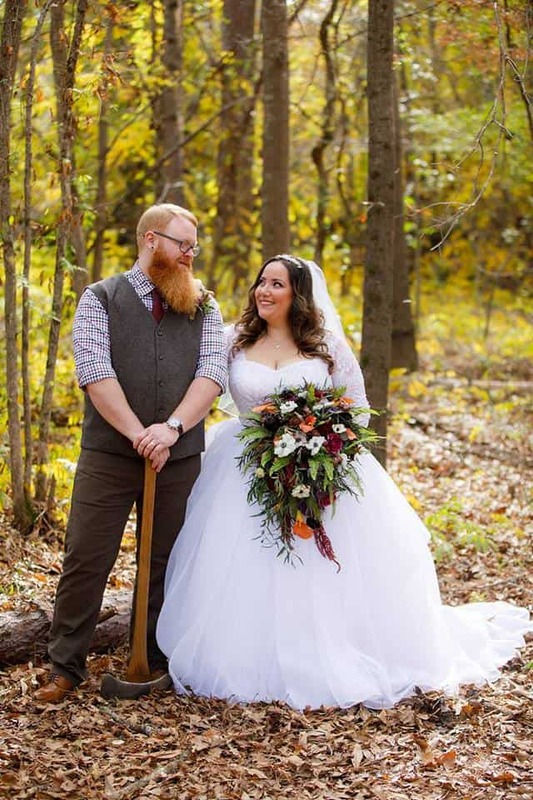 LUMBERJACK THEMED WEDDING! 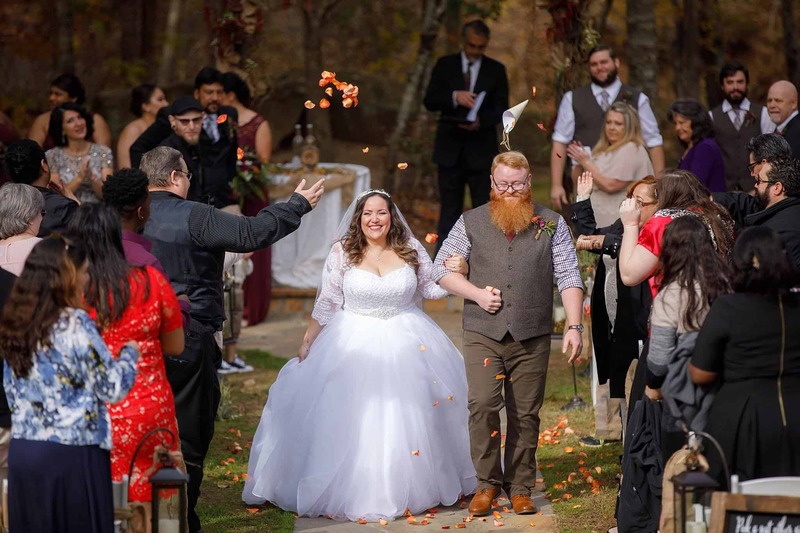 Not a single detail was missed when it came to this theme! 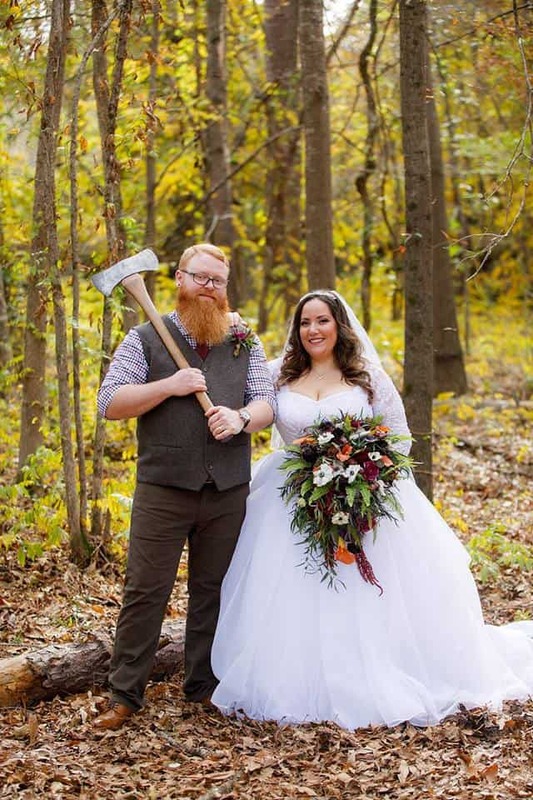 Jacob proudly posed wielding a giant ax! 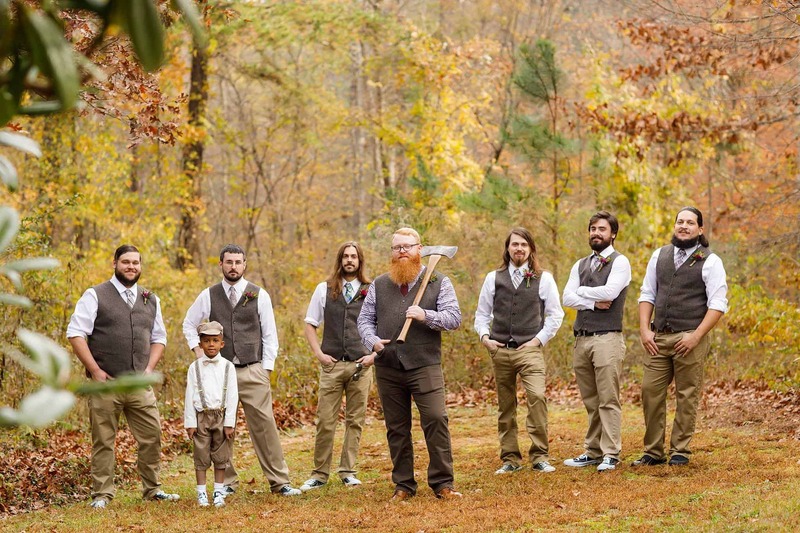 The groomsmen even got in on the fun with these awesome socks sprinkled with axes! 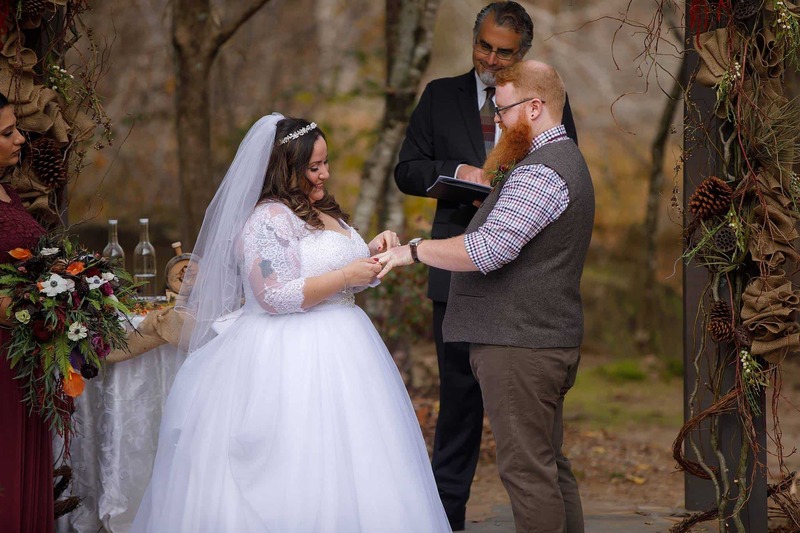 Jacob rocked the classic plaid! 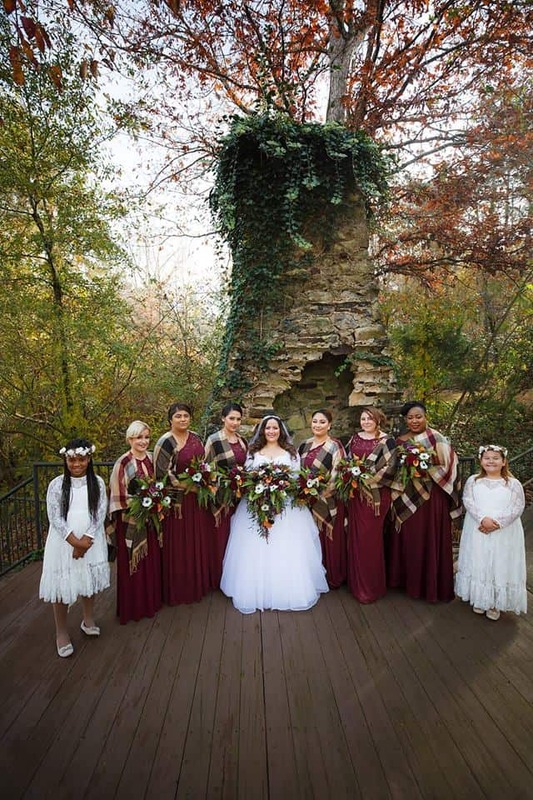 The bridesmaids had adorable “Bride Tribe” slippers! 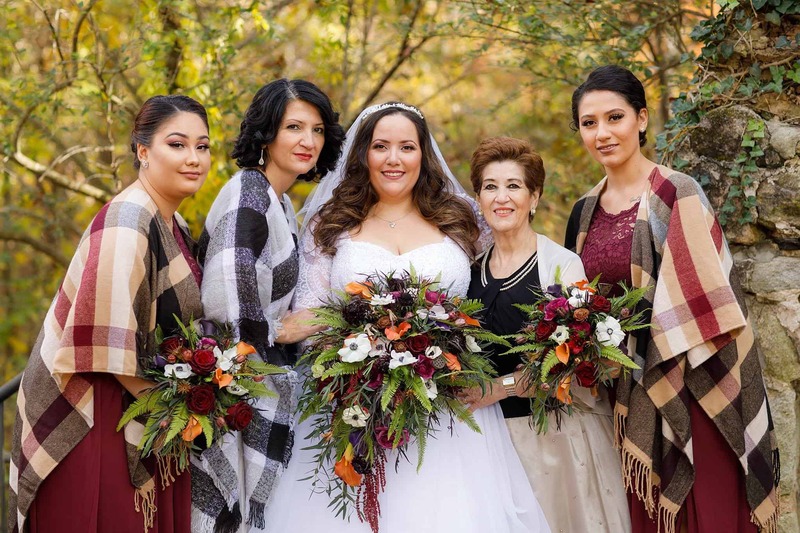 We love how they incorporated plaid into their theme with these beautiful shawls for the bridesmaids! 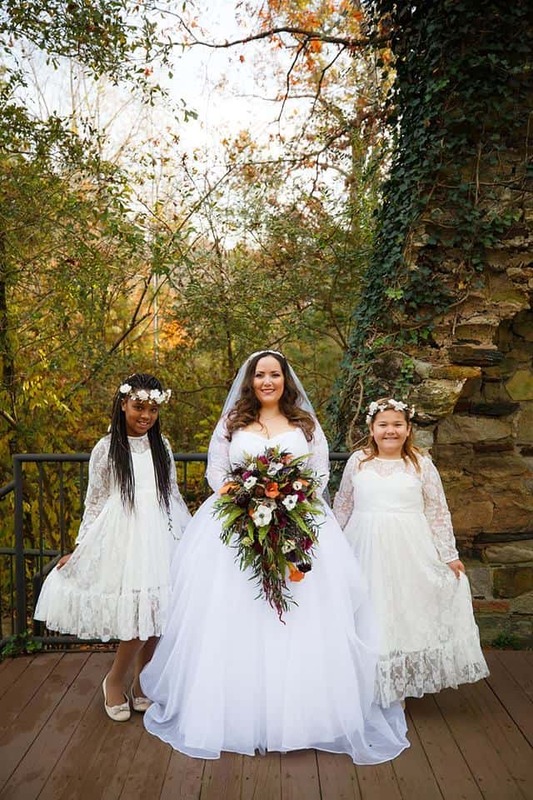 The bouquets are absolutely stunning! 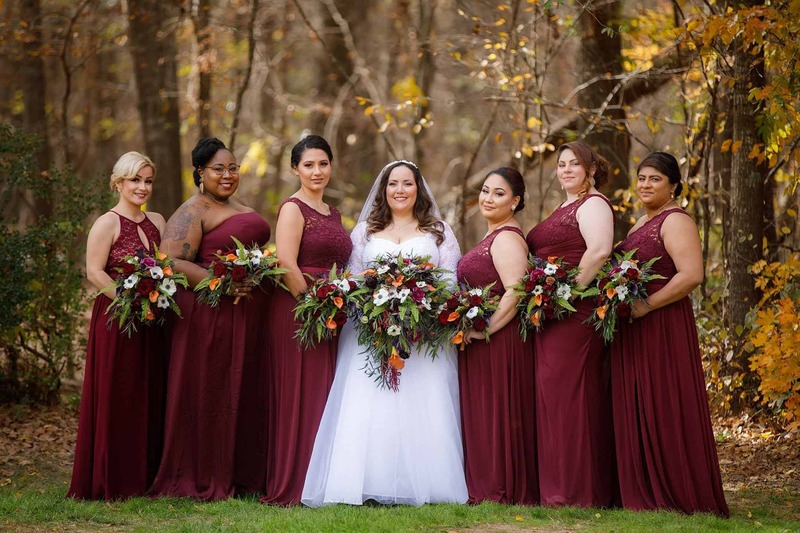 Loving these burgundy gowns! 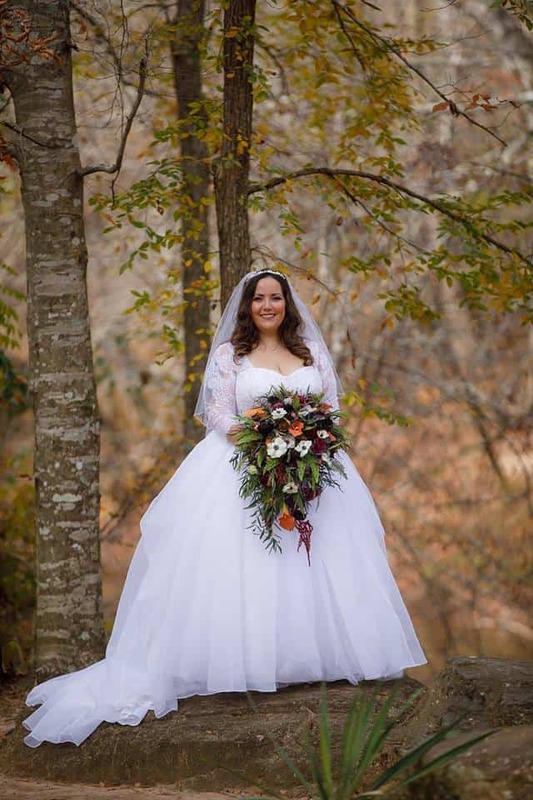 This is such a beautiful and vibrant color for Fall weddings! 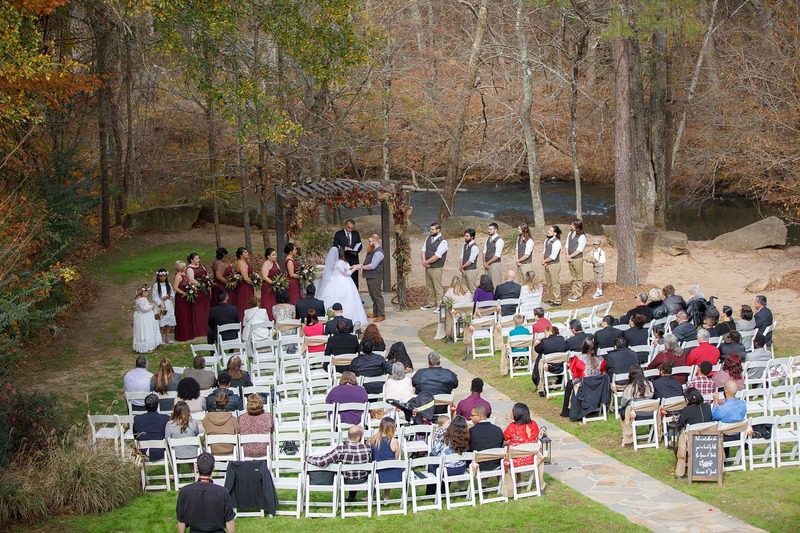 Such a clever way to direct your guests to the ceremony! 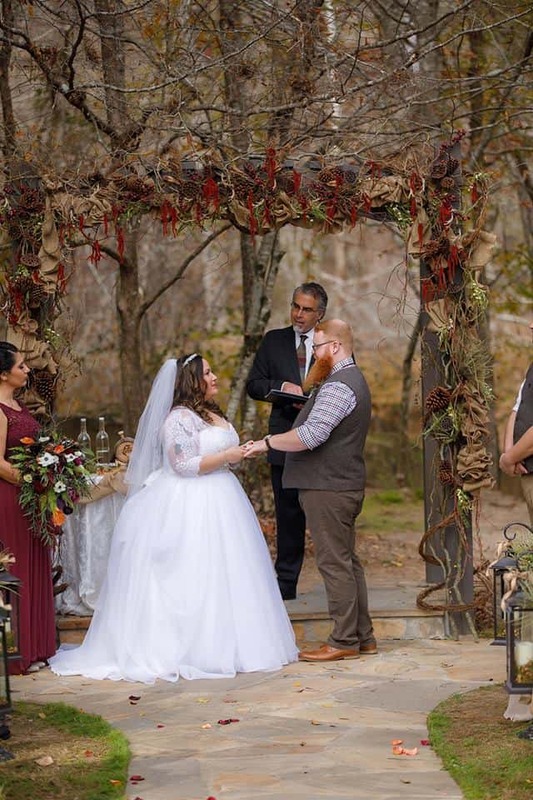 Love this rustic woodland decor on the arch! 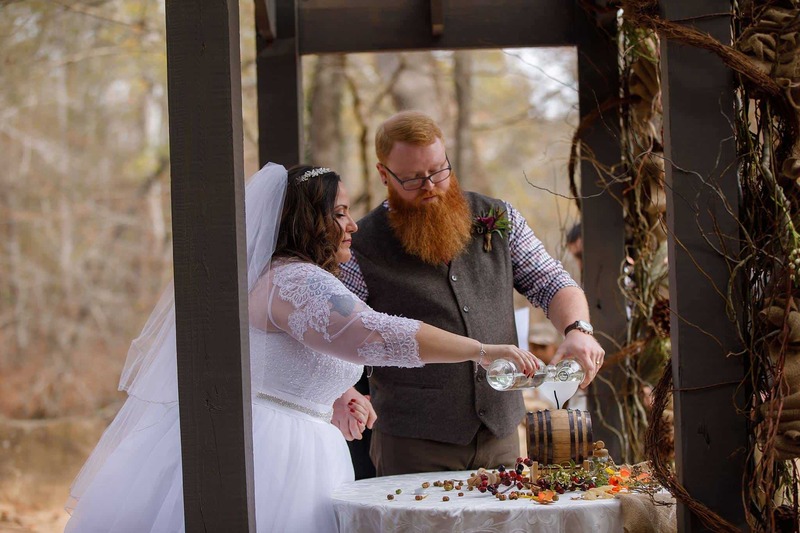 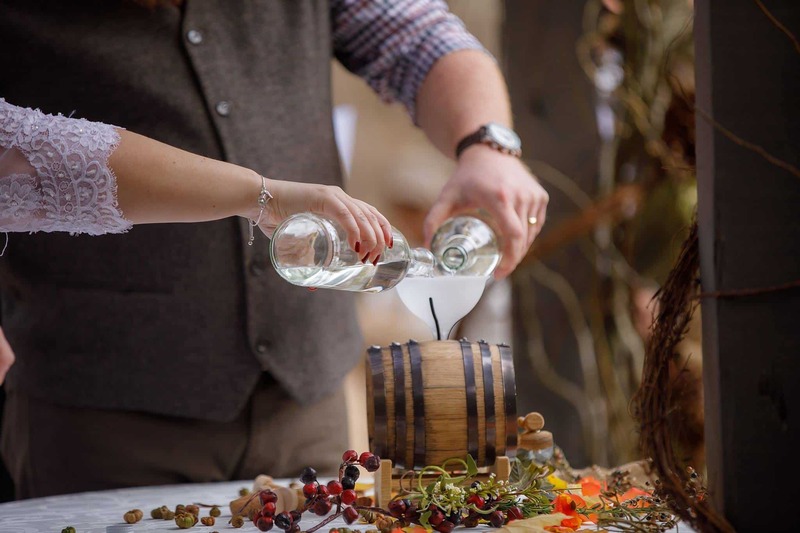 To seal their bond they performed a whiskey aging ceremony in an adorable barrel. 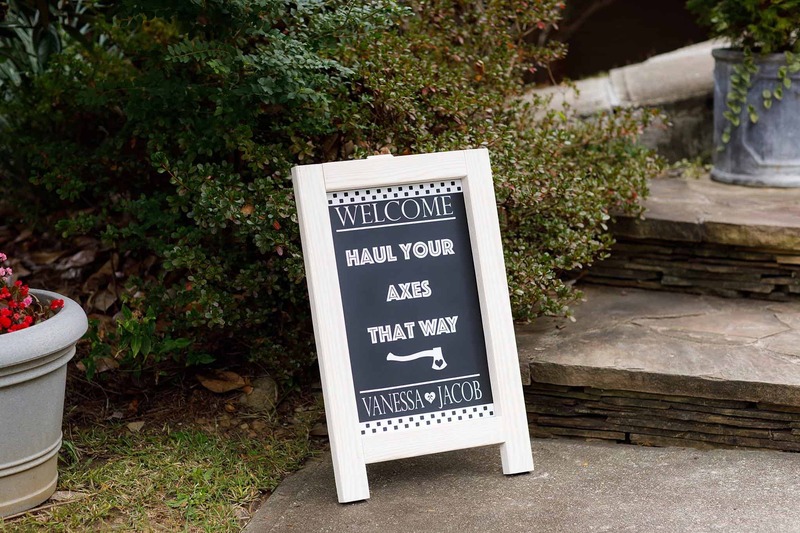 During their brunch reception guests were able to participate in a themed photobooth – plaid and beards galore! 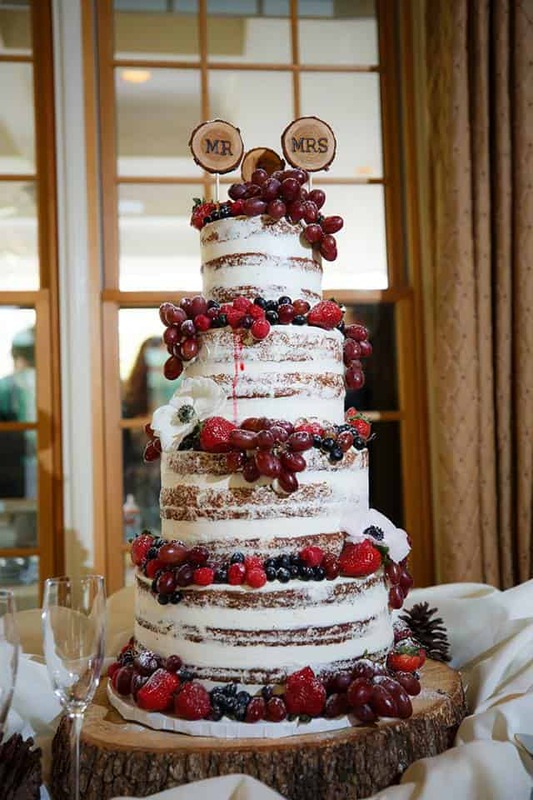 Look at this stunning “naked” cake adorned with delicious fruits! 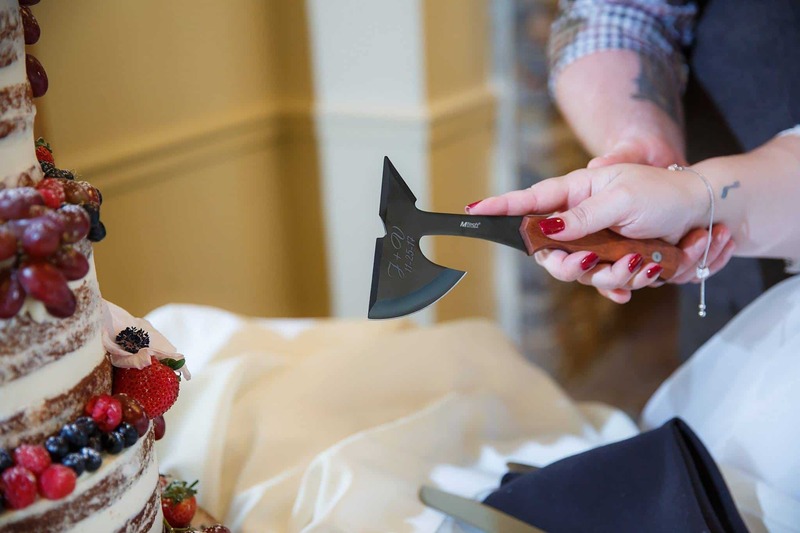 They even had a baby ax engraved to serve as their cake knife!